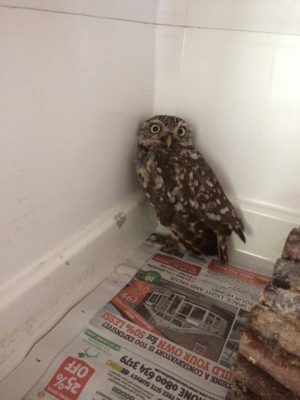 Posted by Jon in Animal Hospital, News, Rescued, Wild Birds on Friday 29/06/2018 16:10 UTC. This little fella came in with a broken shoulder and broken leg. We took time looking at radiographs and discussing his recovery and surgery/pinning of bones. He underwent surgery and has now had his splints and bandages off, his muscles seem to be building back up every day and he will soon go into an aviary. We have had further radiographs done and are pleased with his progress and just hope that the work will pay off and he will be able to fly again. This time of year is called the ‘silly season’ in terms of wildlife. The phone, messages and emails go crazy with animals needing treatment and urgent care. We can only do what we can so PLEASE be patient……….there aren’t enough people doing rehabilitation of wildlife, that’s the bottom line sadly. Last night was taken up treating another deer that had been involved in an accident. It takes a huge amount of time treating admissions and dealing with their ongoing care and very often we simply can’t answer every request…….think of it as an NHS A&E for animals that isn’t even government funded let alone underfunded!